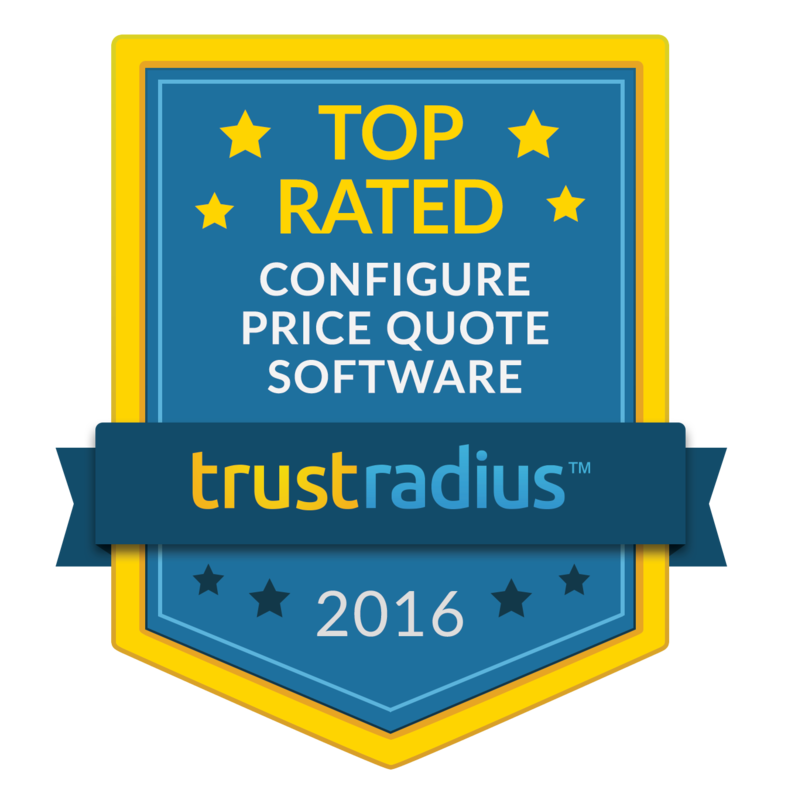 QuoteWerks has been named as a Top Rated Configure Price Quote (CPQ) Software by software users on TrustRadius. TrustRadius is a research platform for business technology based on in-depth user reviews. The QuoteWerks Reviews section on TrustRadius covers user reviews, ratings, product details, and more. Orlando, FL, (PRWEB) April 5, 2016 — QuoteWerks, the market leading sales quoting and proposal solution, has been named a 2016 Top Rated Configure Price Quote Software by software users on TrustRadius, the most trusted review site for business software. QuoteWerks has been awarded a Top Rated badge, which recognizes the company as a top vendor in the Configure Price Quote Software category based on user reviews and ratings. The badge is awarded to products that have an above average rating in a given category. Reviews of QuoteWerks on TrustRadius highlight the solution's strength as a time saving sales tool, with tight CRM integrations, enabling sales professionals to quickly produce and send professional-looking quotes. Benefits mentioned include faster lead conversion and fewer pricing errors. "QuoteWerks is a Top Rated CPQ product on TrustRadius," said Megan Headley, Research Director at TrustRadius. "Users praise the product's ease of use and effective integration with various CRM systems and finance applications." "This recognition as a top rated Configure Price Quote Software by users on TrustRadius helps validate our team's commitment to providing an affordable Quoting Solution that works for SMB and mid-market sales professionals," said Brian Laufer, Vice President, QuoteWerks. 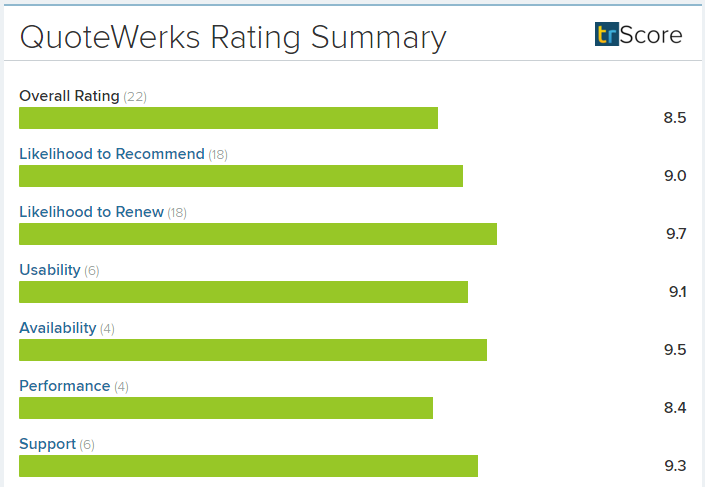 "It's fantastic to be recognized as a top solution and see how our users have rated QuoteWerks. This award is especially meaningful to us as the results are based solely on reviews and ratings from QuoteWerks actual end-users and represents the true voice of our community." The TrustRadius reviews included customers who integrate QuoteWerks with leading Contact Managers and Accounting solutions like Autotask, ConnectWise, QuickBooks, Salesforce.com, and others. QuoteWerks separates itself from other CPQ solutions by providing industry leading support, robust features, and integrations with other solutions at an affordable price. Aspire Technologies, Inc., the developers of QuoteWerks, is one of the early pioneers of the Quoting Software space. QuoteWerks has received numerous awards and is the market leading sales quoting and proposal solution serving over 78,000 users in over 101 countries. QuoteWerks® integrates with leading CRM, PSA, and accounting packages, along with IT distributors D&H®, Ingram Micro®, SYNNEX®, and Tech Data®, enabling businesses in all industries to integrate QuoteWerks® seamlessly into their existing environments. Aspire Technologies is headquartered in Orlando, Florida and is a Microsoft Certified Partner and CompTIA member. For more information, please visit http://www.quotewerks.com. QuoteWerks is a registered trademark of Aspire Technologies, Inc. Other trademarks referenced are the property of their respective owners.